Archiware P5 Synchronize is a tool for data cloning from, to and between disk storage systems, it replicates data to, from and between cloud services using a cloud connector and snapshot capability and retains user authorizations even when cloning from one OS to another. Work for Archiware P5 Synchronize? Learning about Archiware P5 Synchronize? "Great for straightforward, unattended replication across sites/platforms"
With P5 Sync, I can setup an off-site backup in a few minutes. I can specify source and destination locations, across a WAN, build a schedule to run the replication on weekdays during working hours (for continuous backup) and leave it to run. Any problems i'll receive in an email and so I can largely forget about it until it tells me it requires my attention. This product has some OS X heritage behind it so copes with Mac servers, or Apple generated data sitting on Linux or Windows servers. Can create a bootable duplicate of a running OS X system disk with it at a remote location. Great tool for migrating a customer over to new storage. Keep them working on the old storage while P5 copies everything to the new. Everyone disconnects, one last run of the Sync and then they can connect to the new storage. Saves hours and unhappy users. No great dislikes, P5 can create both snapshots and versioning of data on the target disk. Would be nice to see better management of versions where free disk space is used as a factor as to how many versions to store, so we don't fill up a customers disk. I'm often looking to recommend solutions that can replicate data from OS X / Windows servers from customer offices to remote location, either data-centre or remote offices. P5 can convert the Mac data between various different AFP server formats and normalise on the target machine - nothing else can do that to my knowledge. Customers need central management capabilities and P5's web-based admin does that nicely. For some customers a tape backup is overkill and achieving an off-site backup by using WAN connections is always popular. What Online Backup solution do you use? Veeam Availability Suite Includes Veeam Backup & Replication and Veeam ONE. The cloud storage solution you have been waiting for - Simple to use, easy to scale, flexible and robust. 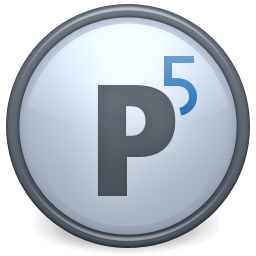 * We monitor all Archiware P5 Synchronize reviews to prevent fraudulent reviews and keep review quality high. We do not post reviews by company employees or direct competitors. Validated reviews require the user to submit a screenshot of the product containing their user ID, in order to verify a user is an actual user of the product. Hi there! Are you looking to implement a solution like Archiware P5 Synchronize?